We’re all used to seeing red roses everywhere around us, especially for the most popular fest of love, which is Valentine’s Day, of course. It’s understandable since red is the colour of passion which makes it the go-to one when the power of affection has to be celebrated. But you have to know that roses come in a variety of hues; there are even blue and green ones, which are produced artificially, but they still look beautiful and even shockingly alluring because you don’t expect to see roses in those hues every day. A single rose with a ribbon attached to it can do wonders, even Long-Stemmed Red Rosesthough it may look like a simple gift. 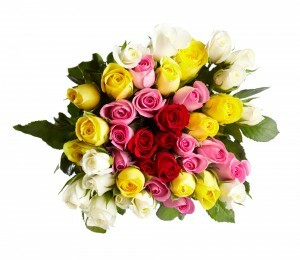 A rose can easily be called the queen of all flowers since it’s the one that is most commonly chosen. With our experience, Flower Shops is confident that the flower bouquets our florists make with the presence of roses of any colour in them are very highly rated by the people who order them. The acknowledgment can go to the floral arranger that combines them all together, but the rose itself should be given credit because if it didn’t hold such beauty, it wouldn’t look so good in the overall flower arrangement. It’s true that a certain talent is required in order to be able to create something so astonishing and breathtaking. You also need a set of skills and knowledge about flowers. A flair for what will look stunning placed next to something else is also preferable to have. And, of course, a great power of imagination is definitely among the essentials. You can rest assured that our florists have all that’s needed to create floral masterpieces. Maybe that’s the answer for the close-to-perfection rosy arrangements they make with such ease. Don’t forget that there are also potted roses which can be appropriate for someone who has a garden and enjoys planting all kinds of flowers in there. From a distance such a fairy place will look as if taken out of a children’s book – an enchanted garden full of pleasantly fragrant and different coloured roses. It might even cast a spell on you just by glancing at it for a little while, so be careful. Our flowers, especially roses, have that Yellow Rosessecret power. 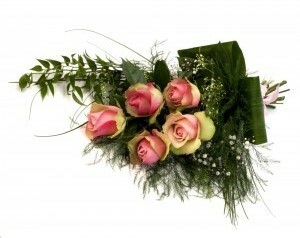 You may say that roses can be found everywhere since they are so popular. What makes ours so outstanding, both fresh-cut and potted ones, is that they are delivered with an attitude appropriate for the occasion they are intended for. A thing you may find strange is how such beauty can be covered with prickers. The answer to this is easy. Think about it: roses have to protect themselves from harm, that is, wild animals. They used to grow in forests, and that was their way to prevent attacks from members of the animal world. Rose oil, which has a specific and strong scent, is used as a component in the perfume industry. The process of extracting it was developed in Persia and Bulgaria. Its by-product, rose water, has application in medicine, cosmetics and cooking. A legend about roses says that they were drawn on the ceiling of a room where meetings were held in ancient times. This was done in order for the secret information shared there not to exit the space. It seems like the whole world is captivated by roses. They’ve become universal for any occasion you can think of. There must be a reason which is individual for everyone, or maybe they’re just the familiar choice because you can’t go wrong with them. Whatever it is, you have the right to take your own decision on which company is best for you when in need of a flower delivery. Have Flower Shops in mind, and call on ‎020 3900 2440 when you’re ready.